Mea Imaginibus Blog » Save files for a video game called "Life" » Let’s talk with no reason! Let’s talk with no reason! 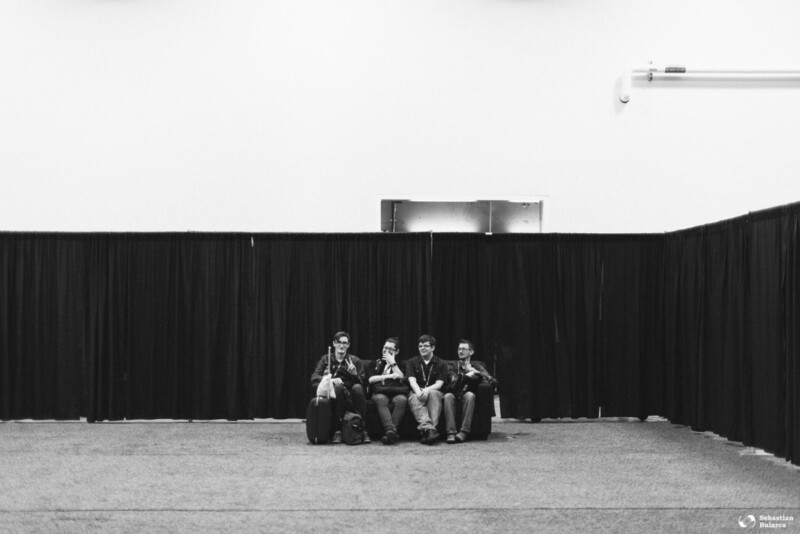 GDC was great, but there is one thing that really bothered me – It was unfashionable there to meet people for no reason. I remember opening a discussion like this at a party “Hi I am Sebastian and sometimes I am a photographer. I just wanted to tell you that I have noticed you in particular because I took photos of you in different game development conventions in the world and I just wanted to meet you (/bigsmile)”. The answer I got back was “But… I do not remember you.”. The person left. I felt humbled, I felt bad. I haven’t earned my right to approach that person for no reason. So, I fell for it and next time I have started talking about myself, about how involved I am in this great industry, about how photography is a hobby and I am actually a “developer” and other things, which I don’t like talking about, just to get people interested in paying me a bit of attention so that I can ask them about their stories. And, unfortunately that way it worked. “Unfortunately” because I woke up one morning, as usual, at 4 because jet lag, after the King party where I attended for an couple of hours (and later on I actually blacked out because of tiredness) and felt so god-dam dirty and empty inside. A portion of my soul was gone, down onto the dirty river of self-praise, self-interest and individualism. One lesson I have learned in my life, now that I am almost 40 (my age will make you trust me, for sure…) is that the best and the most trustworthy connections are made when people want to meet other people for no reason or for a reason that has actual meaning. But, often times I get absorbed in this crazy tornado of fake “collaborations” and expensively facilitated “meetings”, where you get to play a game of who can ignore the other more. And I forget my own lessons. The meaning of life is different. And that is valid for most of people. And most of the people like to talk about the real things in life. The only conversations you will remember will be those who touched you in a way or another. The only people who you remember will be those who have put some meaning and passion behind their stories. And that can only lead to good relationships, good collaborations or even good business. But, on the bright side, I did talk with some people with no reason and they did answer back in the same way. We did have some proper conversations about meanings in personal life, in the industry, in photography, in music and others. I remember those very well. They help me recover these days. Please people, let’s meet new people for no reason at all. Let’s make it about the others and less about who we are. And if we have reasons, let them be REAL reasons and meaningful stories.